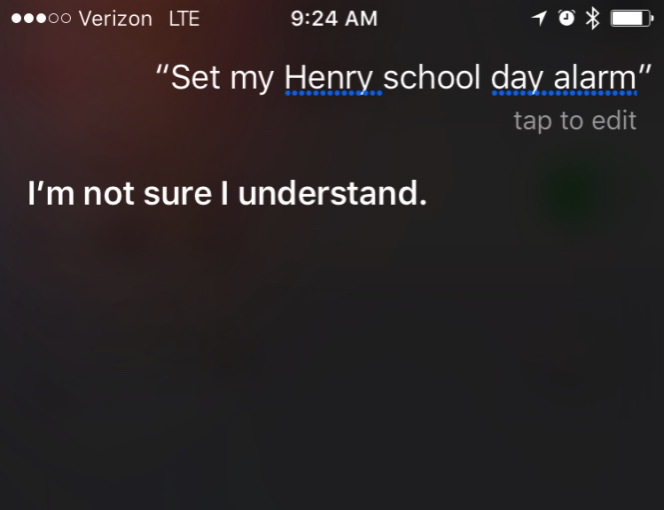 I’ve written before that Siri, in spite of its flaws, is improving quickly. To that end, I occasionally challenge myself to think of ways that it might make my repeated tasks even more effortless. 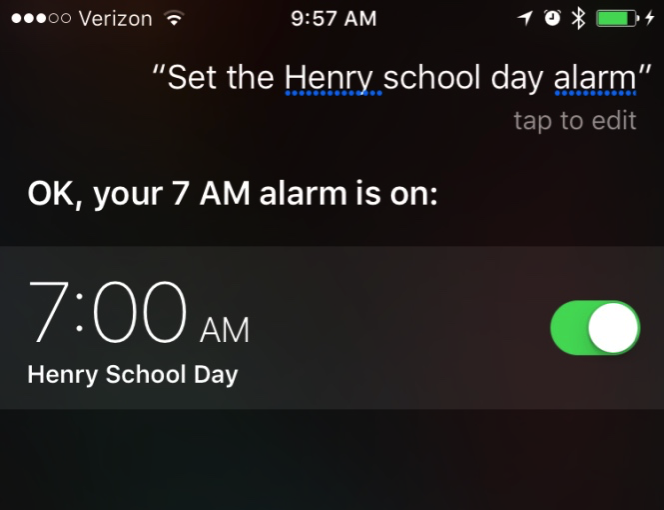 I alternate mornings with my wife, taking either our 4-year-old, Matthew, to school, or our 7-year-old, Henry, to a different school. 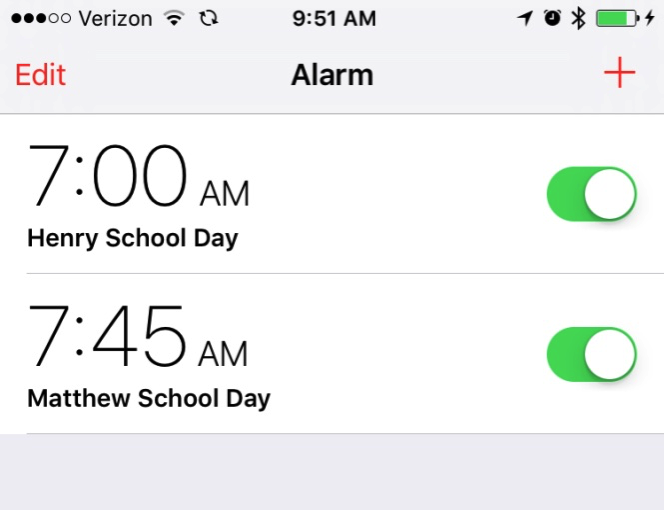 The responsibilities come with a different wake-up time, so I have two pre-set alarms in my phone: one for 7:00AM, and one for 7:45AM. I’ve filed Radar #26696594 requesting that “Siri should recognize MY alarms as readily as THE alarms”.